Technology has definitely changed the way we parent, but it hasn't changed the way we feel about our kids. Whenever you're not with your wee bairn, be it due to them being in school or round at a friend's house, you might have experienced that nervous sick feeling of worry and doubt. To make sure you'll always know where they are, and if they're okay, you could invest in a growing tech industry in which this little device is currently making waves. We check out the Oaxis WatchPhone. Just like the TechSixtyFour Gator Watch we reviewed a while back, the Oaxis WatchPhone is a wrist-borne gadget which features GPS. 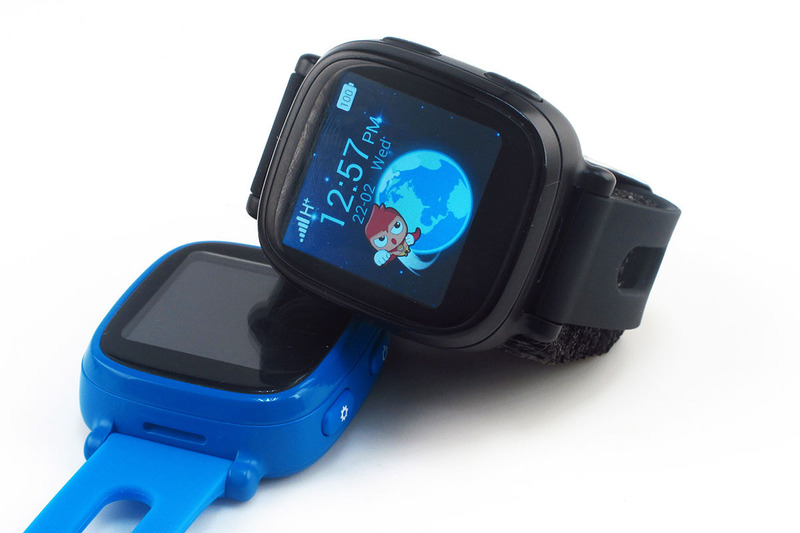 You strap it to your child (so they can use it as a conventional watch), then log into a smartphone app to track their actual location in real time. The WatchPhone app will display a lovely and clear map image, so you can check that they are where they should be. But there is more. As the name suggests, Oaxis have essentially built a micro phone here, as you can - again, using the app - call the watch so your child can answer and speak to you. However, the kid doesn't have free range of who they call, and can only get in touch with a couple of pre-programmed numbers. This they can do using the teeny 1.5 inch touchscreen. Yep, its an actual touchscreen - something The Gator Watch didn't have. So how does it do this? Well, just like any device that uses the mobile phone network, the Oasix WatchPhone requires a SIM card. That is something you need to source yourself, but a pre-paid SIM-only contract won't break the bank these days, and considering you don't need a huge amount of minutes, texts and data to get the watch to function properly, getting one should be a simple job. That SIM will certainly come in handy if the child is ever in a stressful situation. 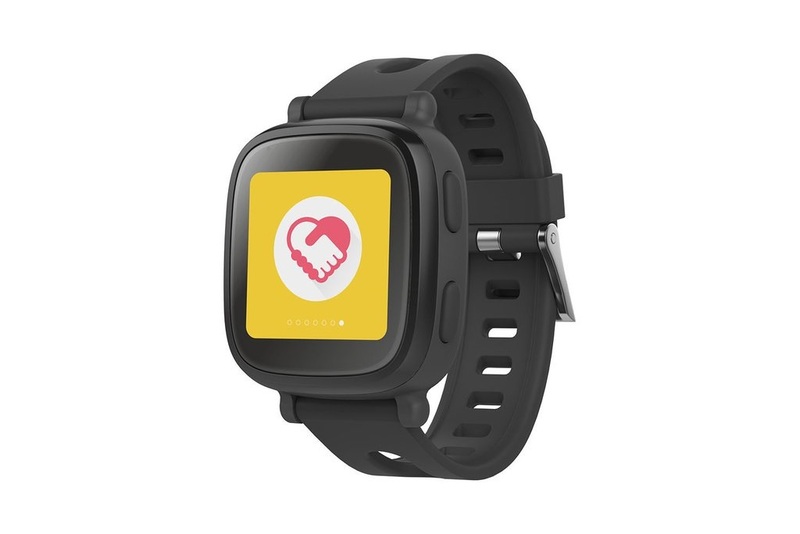 The Oaxis WatchPhone features an SOS function which, when pressed, will immediately call the number programmed into it, and supply the parent's app with the exact location of of the watch. Yes, the video above makes light of this with the whole 'oh, I wanted help with my homework', but in real life this could be hugely useful and potentially save the child's life. As well as the tracking and call features, the WatchPhone also functions as a step counter, which is a nice addition. Kids can see the number of steps they've taken that day grow, and all the movement data is represented well on the bright screen. If it encourages kids to move more, we're all for it. 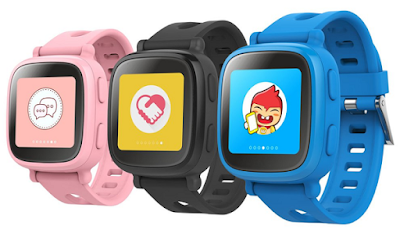 So the Oaxis WatchPhone will give parents peace of mind, and also kids a bit more confidence. Knowing mum or dad are just the touch of a button away will help make even the most nervous children feel a bit mote supported.